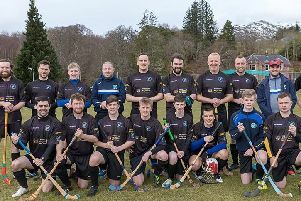 Camanachd Leòdhais deservedly beat North Two pacesetters Caberfeidh with a 1-0 away win in Strathpeffer on Saturday. The island team were recently turned over by the Ross-shire club on home soil, but approached the game with renewed confidence after a win over Inverness last week. Iain Sinclair welcomed Scott Murray and Innes Lamont back to the team as well as giving youngster Ruairidh MacMillan his first start of the season. For a full match report see this week’s Stornoway Gazette out on Thursday, June 18th.